MUMBAI: Metro Commuters will now be able to make use their smartphones for journey ticket, apart from tokens & smart cards, to commute on the Versova-Andheri-Ghatkopar corridor. On Wednesday, Mumbai Metro One announced the launch of India’s first Mobile Ticketing System ‘OnGo’ which will help commuters pass the AFC gates using their mobile phones. The system is at an advanced stage of testing & is likely to be introduced in mid-August, 2017. The Mobile Ticketing System, works on iOS & android operating systems, Mumbai Metro One Pvt Ltd (MMOPL) said. 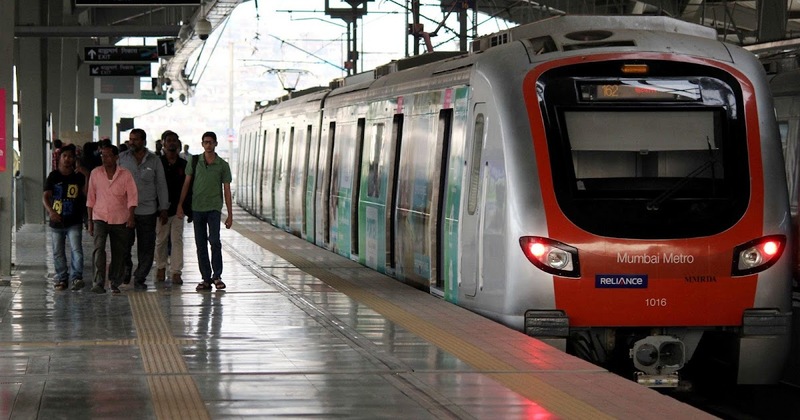 “With the help of Mumbai Metro app, the commuters will now be able to buy their tokens or passes and can generate a QR code which will be used to get access through automated fare collection (AFC) gates,” a MMOPL official said. “Money can be loaded in the mobile wallet app to carry out the transaction to purchase token for single journey, return journey and recharge smart card. In fact, QR code can be generated 7 days in advance,” the official said. The Mobile Ticketing System is expected to take load of the booking counters, where people queue up in large numbers to buy token or recharge smart cards.